The Career Development Center is here to assist University of Louisville students in obtaining employment while they are attending UofL. Securing a part-time job (particularly in your field) and reflecting it on your resume represents one of the best ways to prepare yourself for a future internship opportunity. Cards Career Connection powered by Handshake is your on-stop-shop for finding part-time employment in the Louisville area. 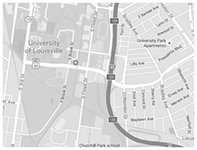 The University of Louisville Career Development Center posts job listings for the convenience of students. Any posting of by an employer is not endorsed by the University nor do we promote them. The University does not make any guarantees on employment with any employer. These postings and our efforts should be used as an assistance/connector for the students and the employers. The University is not responsible for safety, wages, working conditions, or any other aspect of off-campus employment without limitations. The students responsibility is to research the companies and making a sound judgment on where they should apply for the position. Please use caution when applying for positions. Do not give your Social Security #, personal bank account, PayPal account, or credit card information to a new employer. Do not agree to have funds or paychecks directly deposited into any accounts by a new employer. Do not forward, transfer or send by courier (i.e. FedEx, UPS), or “wire” any money to any employer or for any employer using your personal account(s). Typically, applicants do not pay a fee to obtain a job, but there are some instances where this may occur. Please consult with the University of Louisville Career Development Center before making a decision.